We don't have enough time to provide the necessary thorough and well cleaning of our house and very often use the domestic cleaning provided by this company. Our house is flawlessly clean after the cleaners take care of it. They use their own cleaning equipment and do all the work in a couple of hours. After they leave usually all rooms in our house are perfectly clean and there isn't any dust and grime. The bathroom, kitchen and the rest of the rooms are shiny and flawless. 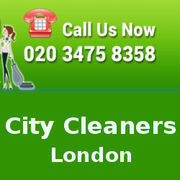 Me and my family are very content with the excellent work of the cleaners in this company.